“Being engaged in a social life has a positive effect on health,” said USC professor Florence Clark. Small, healthy lifestyle changes and involvement in meaningful activities – going beyond just diet and exercise – are critical to healthy aging, according to a new USC study. Guided by lifestyle advisers, seniors participating in the study made small, sustainable changes in their routines (such as visiting a museum with a friend once a week) that led to measurable gains in quality of life, including lower rates of depression and better reported satisfaction with life. The study validates the current trend in public health strategies to focus on preventing illness and disability, as opposed to treating issues once they already have begun to negatively impact health, according to lead investigator Florence Clark. “What is critical is that, as we age, we continue to be engaged in life through a sustainable mix of productive, social, physical and spiritual activities. 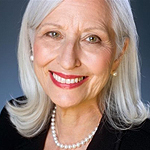 This goal of prevention and wellness is really a key to health care reform, and results in cost savings to society,” said Clark, professor and associate dean in the Division of Occupational Science and Occupational Therapy at the Herman Ostrow School of Dentistry of USC, and president of the American Occupational Therapy Association. For example, some people like going to the gym to stay physically healthy, but others find the thought of slaving away in a room indoors for three times a week utterly abhorrent – so much so that, no matter what good intentions they have, they will not wind up going. For such individuals, a more effective and longer-lasting strategy to improve physical health may be instead to walk for an hour around their neighborhood in the evenings. “You’re able to go to a museum, you’re able to go to a park … it can open up a whole world of opportunities,” Clark said. In one instance, the therapists helped a woman who had taken a nasty fall while boarding a bus to work up enough confidence to ride again. Eventually, she was able to take the bus to go do volunteer work – a fulfilling pastime that she sorely had missed, Clark said. At the end of the first phase of the trial, the control group was provided with the same treatment that had been given to the intervention group – and made identical progress. The study’s findings replicate the outcomes of the influential Well Elderly 1 trial, but extend them to a more ethnically diverse population living in a wide range of community settings, demonstrating the lifestyle program’s value for the general public. The results of the Well Elderly 1 trial, conducted in 1997, were used by the London-and-Manchester-based National Institute for Health and Clinical Excellence to develop recommendations for British public health policies. The study was funded by a grant from the National Institute on Aging at the National Institutes of Health.